Rental cottage on Charleston Lake in Eastern Ontario. 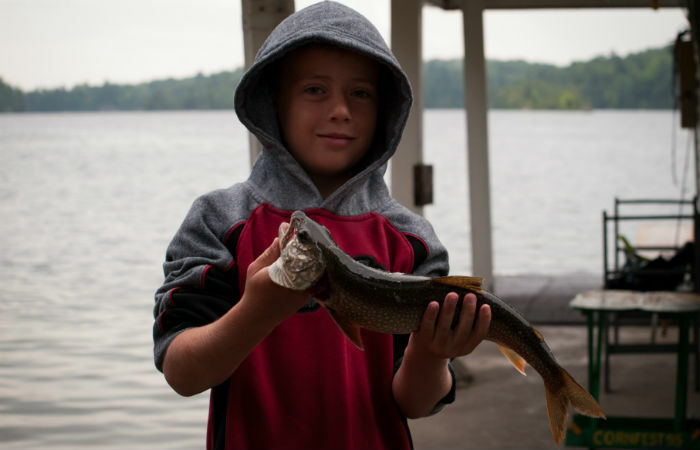 Centrally located between Kingston, Brockville, and Ottawa, Charleston Lake is beautiful and clean with over 110 miles of shoreline & 100 islands. Very deep in spots and spring fed it is great for fishing (Trout, Bass, Pike, Crappies), canoeing, swimming, skiing etc. 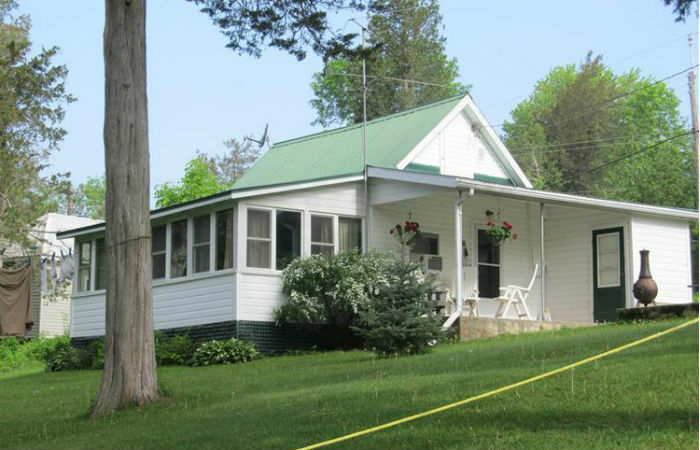 Our cottage is on the north side of the lake facing Englishman's Monument so we get sun all day and warm south breezes. 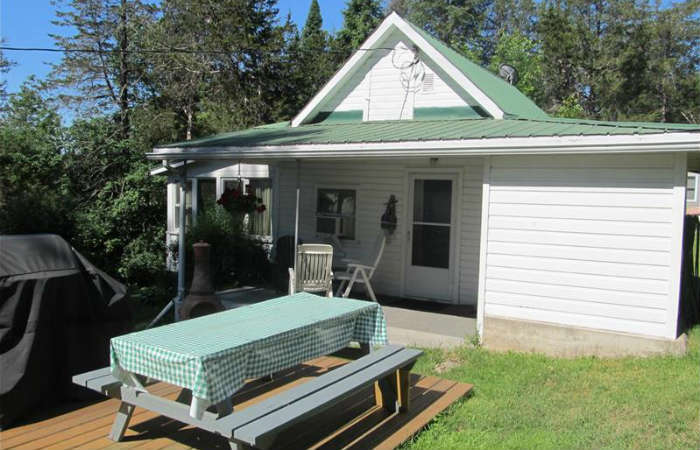 The cottage contains 2 bedrooms, one with a queen and one with a double bed, a pull out couch, kitchen and washroom; fully equipped kitchen, electric heat, AC, shower, flush toilet, pillows and blankets. Also satellite TV. 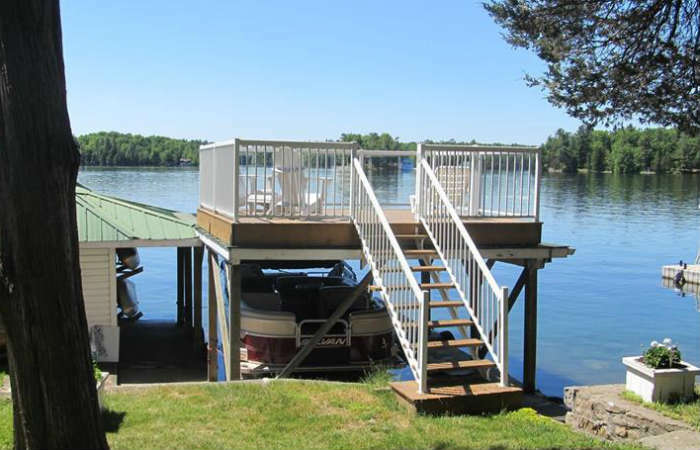 Offering a nice sandy beach with gradual entry and a diving board off the dock. 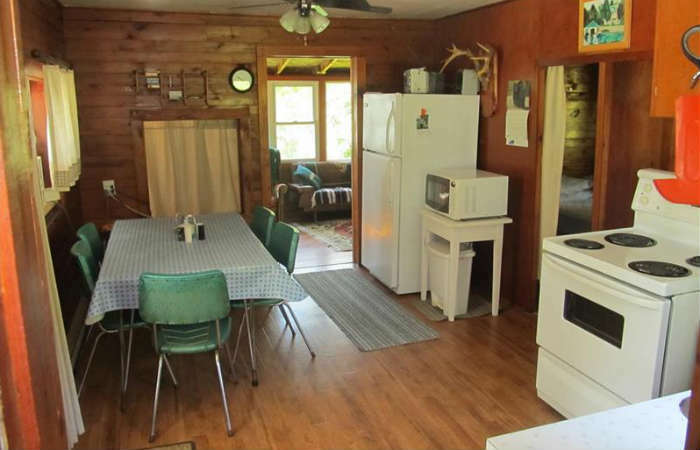 Also a picnic table, gas BBQ, chiminea, swings, and access to a fire pit. For added convenience a 14.5 ft Boat, 9.9HP motor, Kayaks, Canoe, and firewood are available to rent/purchase upon request. Guests provide their own bed sheets, pillow slips, towels etc. Garbage disposal is provided for your convenience. We encourage recycling and composting. Check in time is 1:00 p.m. Saturdays and Check out is 10:00 a.m. Saturdays. 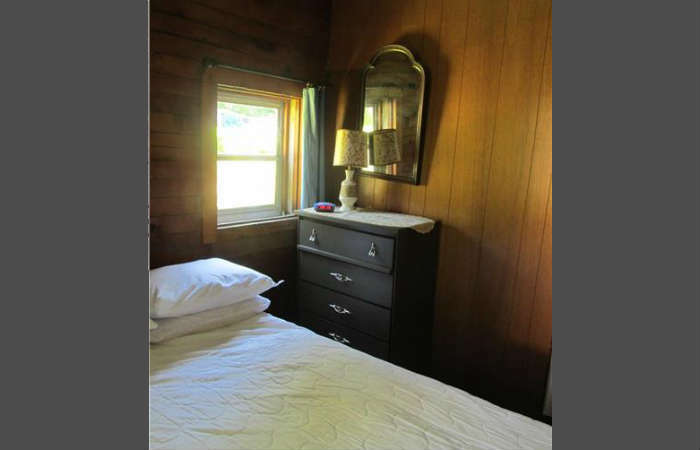 Prime Season typically mid-June till mid Sept.
Cams Camp cottage, a rental cottage on Charleston Lake in Eastern Ontario. 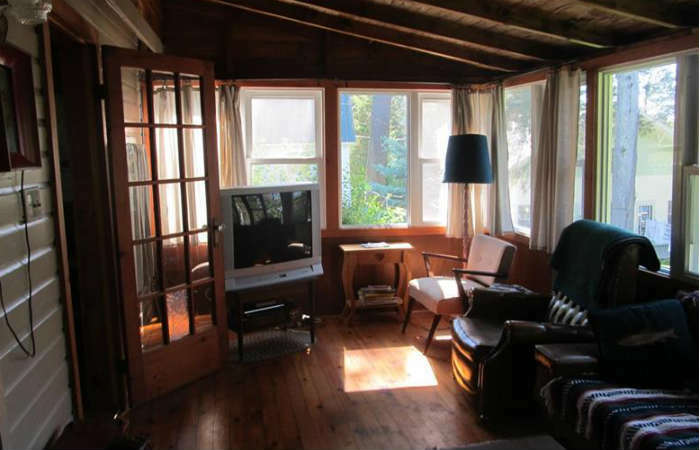 Centrally located between Kingston, Brockville, and Ottawa, come stay with us this summer.